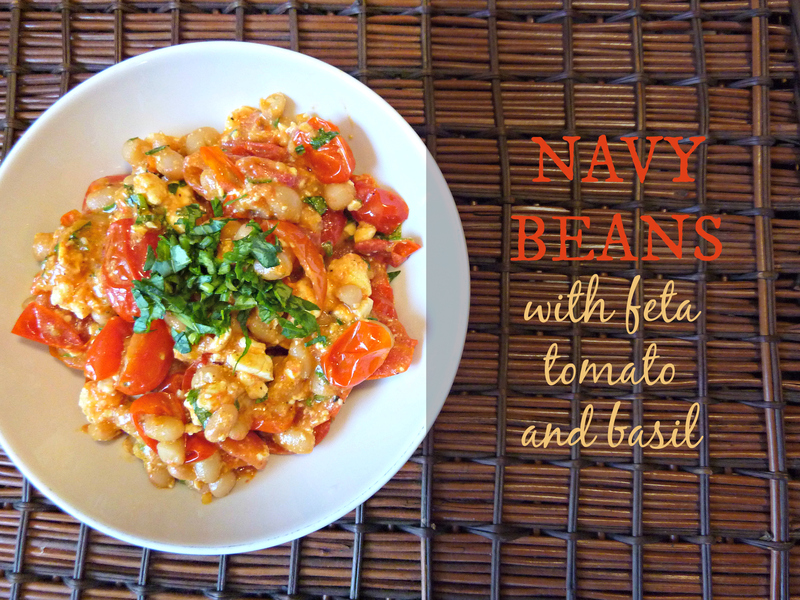 Spring has sprung here in New York City, but it’s still cool enough to enjoy a warm, creamy dish like these navy beans with feta, tomato, and basil. I ate them today in front of my open window, enjoying the light breeze and marveling at how something could taste so comforting and so fresh. 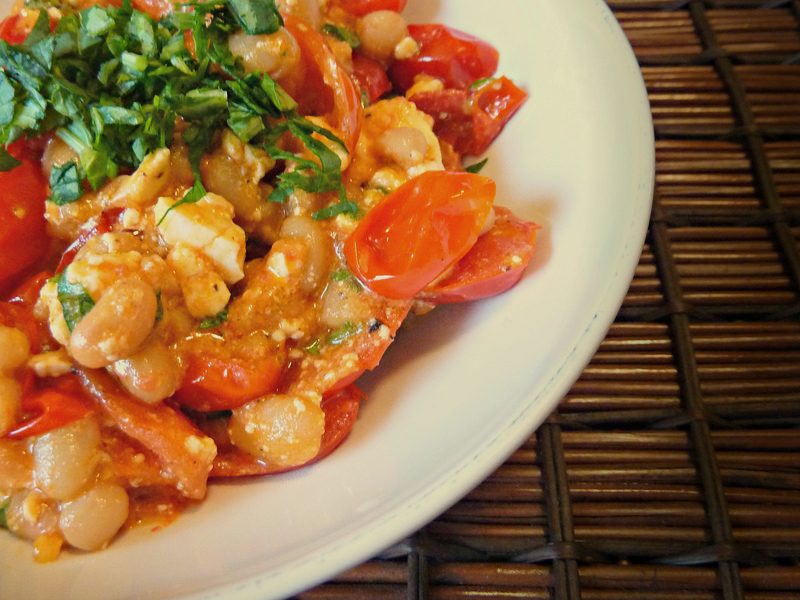 With garlicky-sweet grape tomatoes and salty, luxurious feta, these beans are reminiscent of a creamy pasta dish, but without the pasta. It’s super simple to make, requires just one pan, and only calls for a few ingredients. Don’t have any basil on hand? Chop up some arugula or kale instead. The greens do more than add color, they really elevate the flavor and give it a crisp brightness. In a large saucepan, heat 1-2 Tbsp of extra virgin olive oil over a low flame. Add the halved grape tomatoes and the garlic, stir, and let them cook over low heat for anywhere between 15-20 minutes, stirring only occasionally, until the tomato skins are crinkled, the juices are gurgling, and the garlic is golden. Add the navy beans, and increase the heat just a tad, stirring occasionally until the beans are warm, about 5 more minutes. Add salt and pepper to taste, but don’t overdo it on the salt! Feta is pretty salty on its own. 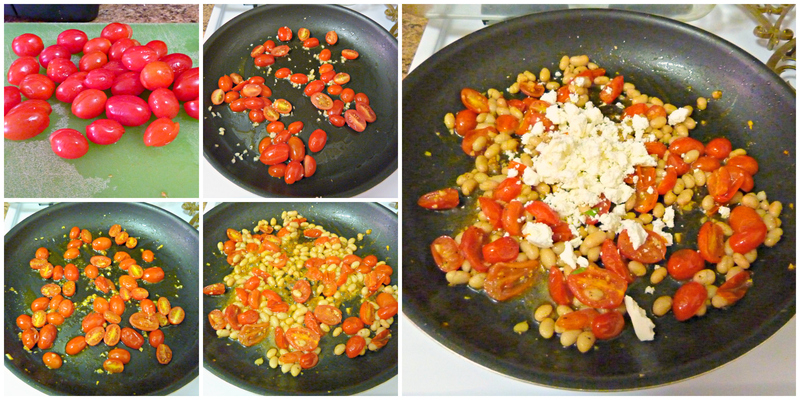 Turn off the heat, and immediately add the feta, stirring constantly so that it melts a bit and incorporates fully. 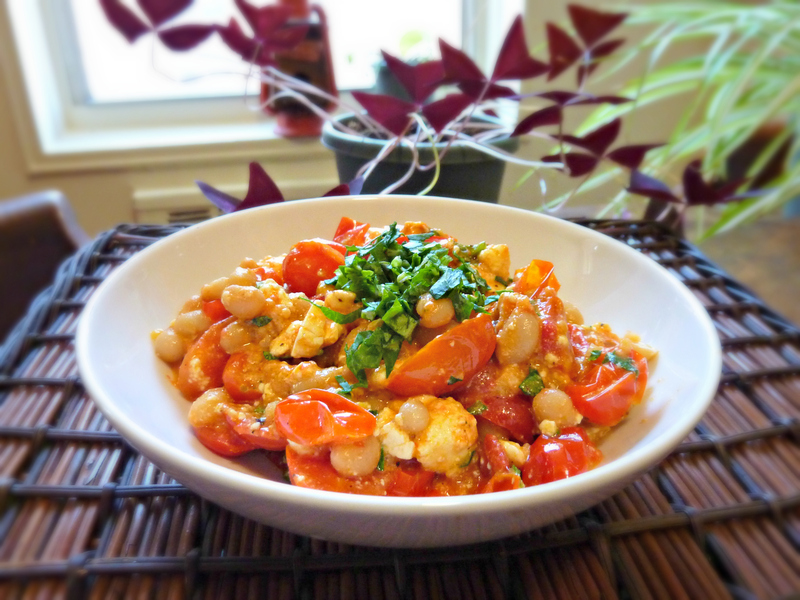 Toss in a small handful of chopped basil, stir, and serve warm.